Preparing your garden well for winter will stand you in good stead for the spring. As temperatures begin to dip and the last of the colour fades in the flower beds, it can be difficult to get excited about donning the gardening gloves, but setting aside a weekend or two in the garden before the colder weather settles in will reap many rewards in spring. When the roses stop flowering and stone fruit has been harvested it is time to have a tidy up, cutting back old growth to prepare for the winter. Prune fruit trees to help protect from disease as well as pests while aiding preparation for flowering and fruit production. Cut back hedges and remove any dead wood, this will help keep things looking spick and span over the winter months. It will also prepare the plants for new growth. Roses can either be deadheaded for autumn flowering or pruned right back ready for a new season. If you want to add trees or shrubs to your garden, autumn is the perfect time to plant. The warm soil and moisture provide ideal conditions for root growth giving new additions a head start, ensuring they have time to settle in before winter. Plant or transplant trees in autumn when conditions are favourable to encourage root growth and resilience during the winter months. Plant daffodils, snowdrops, and other cheerful spring bulbs now for bursts of colour in the spring. Re-sow your lawn or plant any new lawn areas, they will thrive in the autumn conditions and you will avoid weed problems which can become an issue in spring. Feed the soil to give your new plants a healthy start by adding fertilisers or compost before planting. Consult the experts at your garden centre for advice on what to use. March, April, and May are the optimum months for planting bulbs. You will have more success with tulips if the bulbs are chilled in the fridge for up to eight weeks before planting. Bulbs love well-drained soil, so planting in potting mix in a large porous pot is ideal. 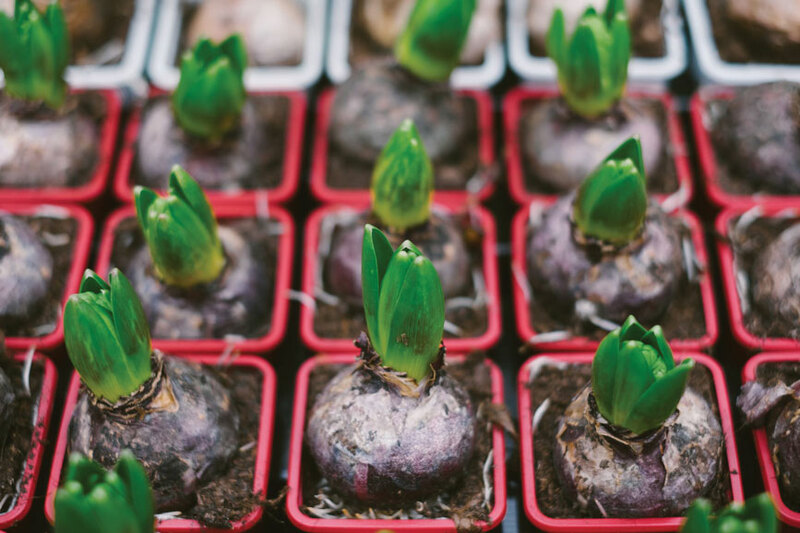 Plant bulbs close together in groups rather than spreading them out. This will provide maximum impact when they burst into life as winter ends.